A lovely garden ornament for your garden or outdoor space. 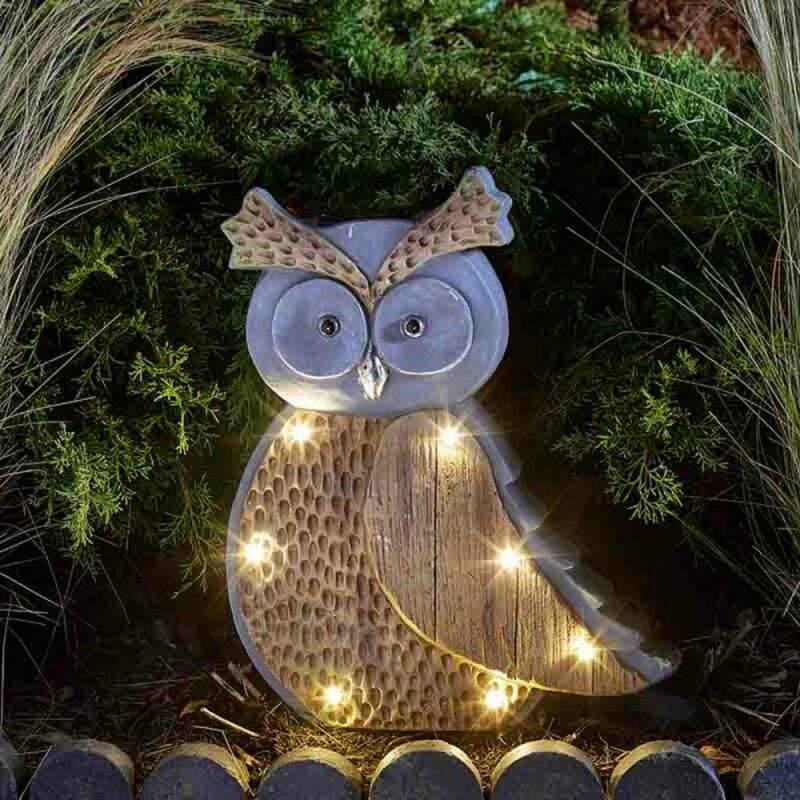 With six warm white LED lights, this stylised Owl is solar powered to provide subtle illumination at night. 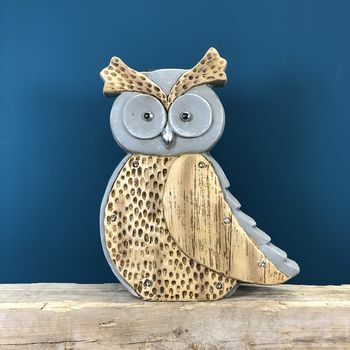 Our wise Owl makes a lovely garden ornament during the day and a glowing focal point during the evening. He charges with direct sunlight and automatically illuminates at night. This cute Owl looks like a mixture of stone and wood but is actually made from durable, weather resistant resin to ensure a long life outdoors. This product is dispatched to you by Garden Selections.